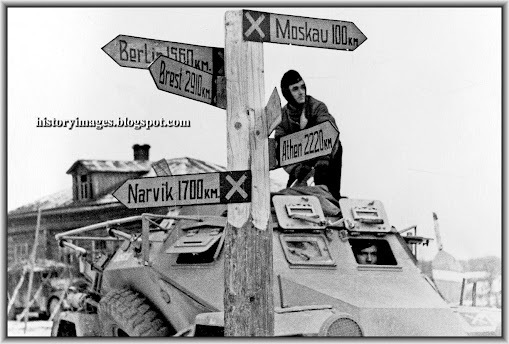 It is early days into Barbarossa, the invasion of Russia. 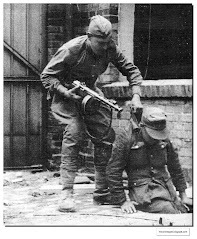 The Germans ruthlessly executed partisans. 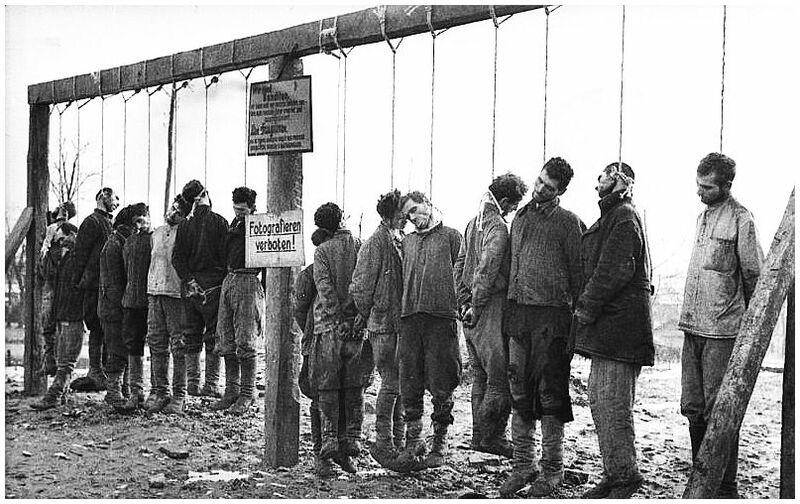 If Hitler had not been so ruthless against ordinary Russian people, the communist state would have collapsed. Most Russians hated Stalin and the communists. Stalin had purged the Russian army of its best officers and replaced them communists in 1937. 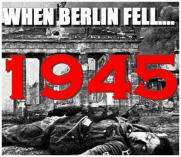 The Russian army had not recovered from that in 1941. 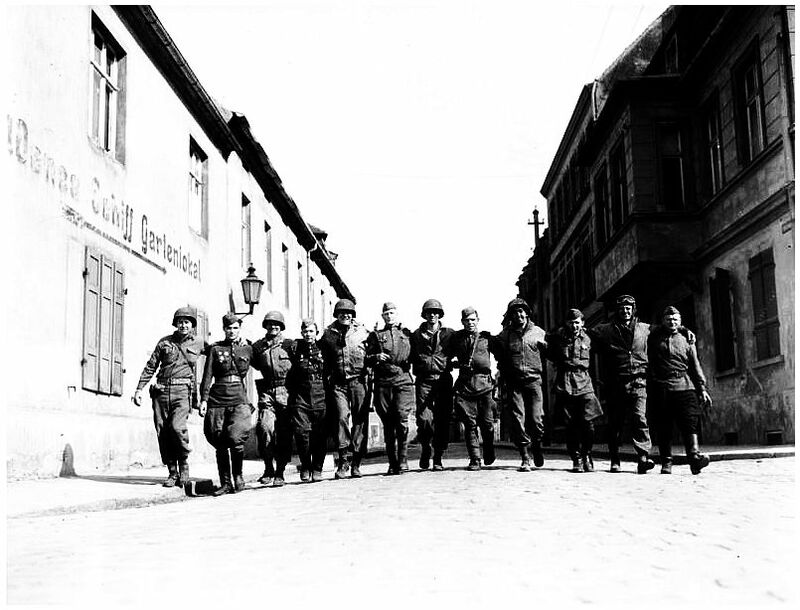 It was when ordinary Russians understood that Hitler was attacking Russia as a whole and not merely the communist state, that they turned against Germany with a fury. Russians are a proud and very patriotic people. Attack on Mother Russia could not be tolerated. 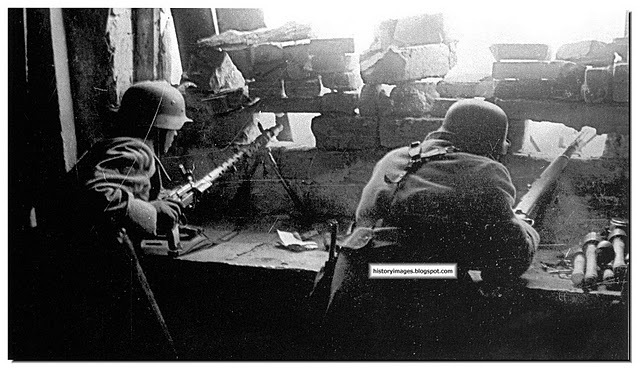 Hitler's "commissar order" called for the instant shooting down of Communist party agents in the army. 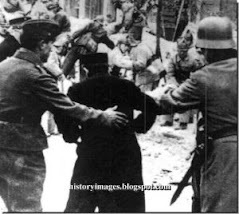 He sent Einsatzgruppen or extermination detachments to come behind the army and rout out and murder Jews. He resolved to deport or allow millions of Slavs to starve in order to empty the land for future German settlers. If the Germans had done things differently, the Soviet Union would have collapsed. Most Russians hated Stalin and would have co-operated with the advancing Germans. 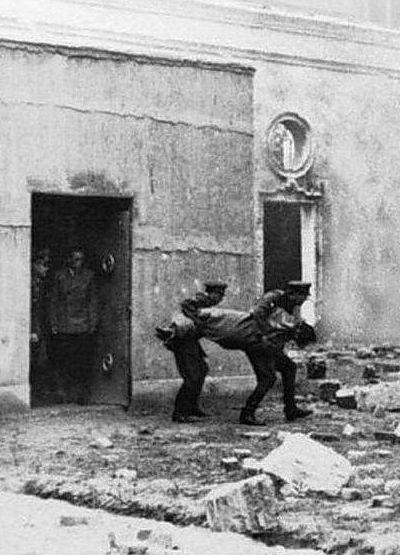 Hitler's ruthless policy turned all Russians against the Germans. 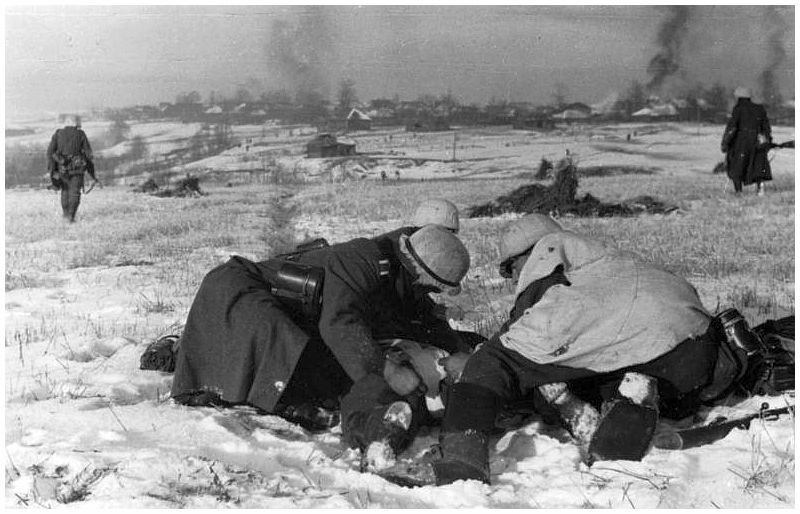 German soldiers tend to their wounded comrade in Russia, November, 1941. German soldiers watch as a Russian village burns. 1941. 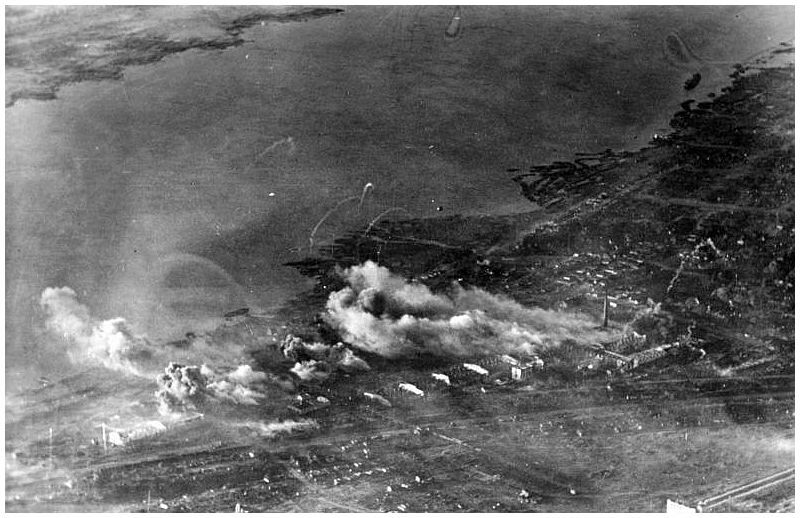 Both Hitler and Stalin ordered the 'scorched earth policy'. 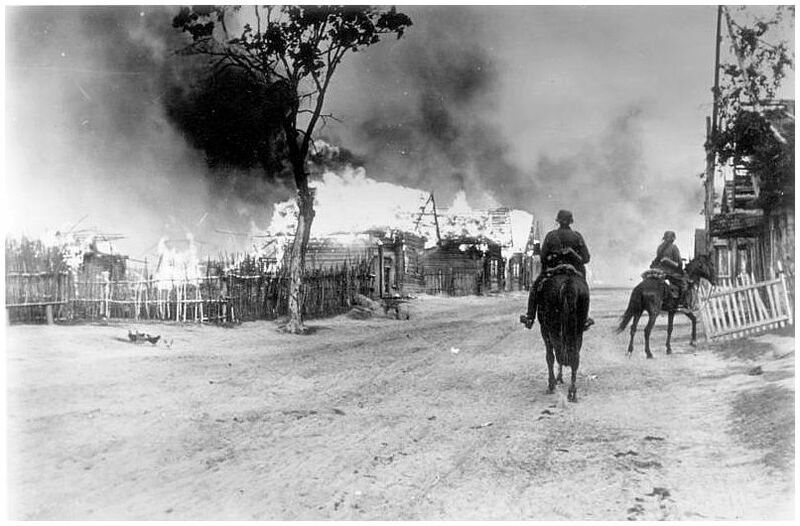 Burning of all villages and towns by the retreating armies so that the advancing enemy forces' advance got slowed down. German planes pound Stalingrad 1942. But it lost the battle. 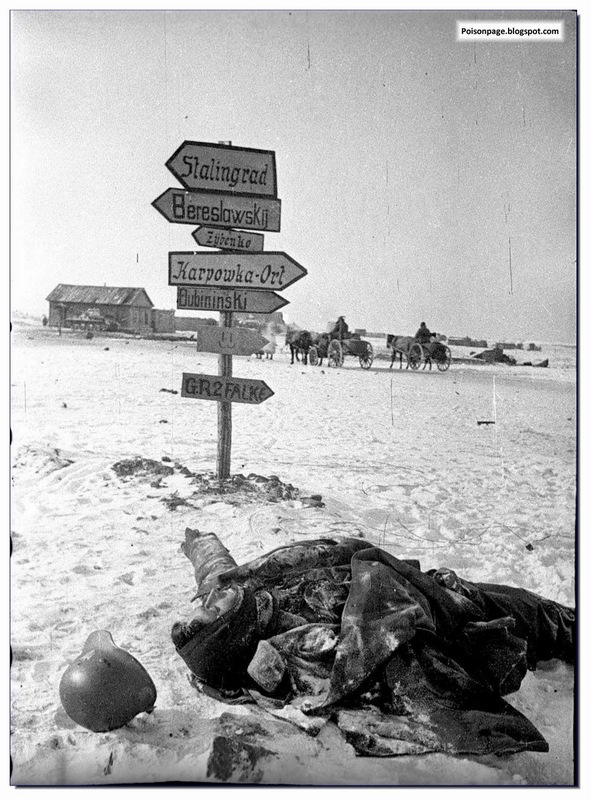 "The disaster of Stalingrad profoundly shocked the German people and armed forces alike...Never before in Germany's history had so large a body of troops come to so dreadful an end." 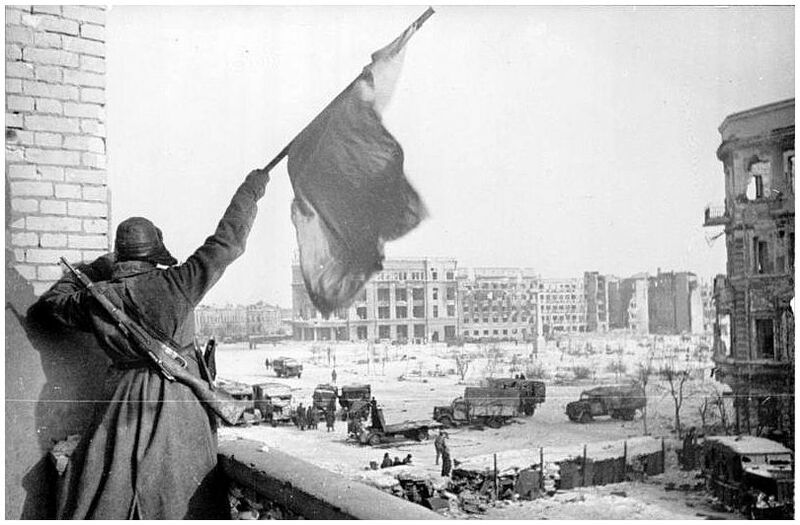 "The troops of the Don Front at 4pm on the 2nd February 1943 completed the rout and destruction of the encircled group of enemy forces in Stalingrad. 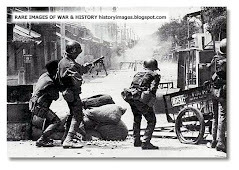 Twenty two division have been destroyed or taken prisoner." Hitler understood that the trap was closing on Nazi Germany; loss in Africa and the Sicily landings by the Allies meant that something decisive was needed to be done against the main enemy - The Soviet Union. 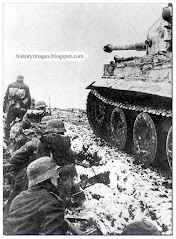 Battle for Kursk was the result which the Germans lost. 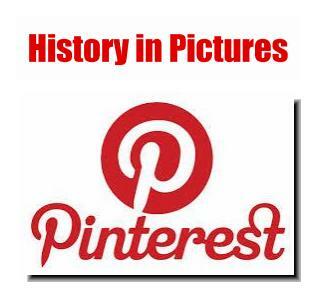 It marked the beginning of the end of Nazi Germany. 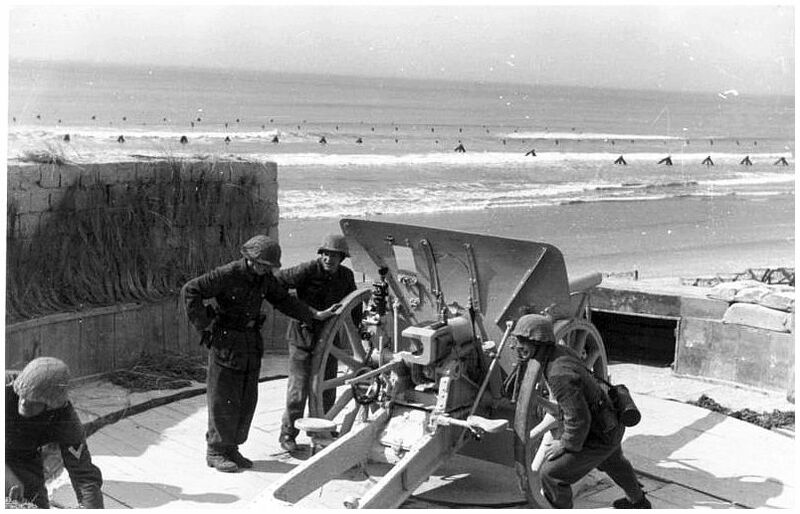 German soldiers examine their defences at the Atlantic Wall on the French coast. 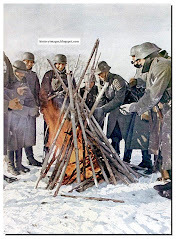 Rommel did much but the reason the Wall was not ready and did not stop D-Day was not Rommel's fault alone; the real cause was lack of resources and the inefficiencies of the Nazi administrative system. 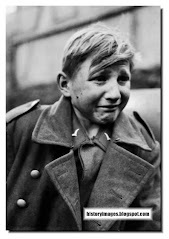 A defeated demoralised German army withdraws from Russia. 1944. WHAT IF GERMANY HAD DEFEATED RUSSIA? History would have been written very differently. 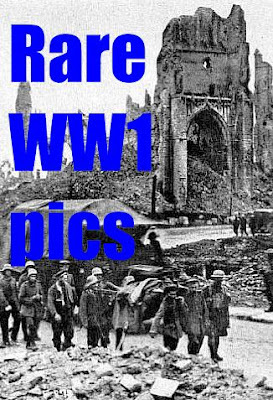 Britain alone would not have been able to withstand the German onslaught. 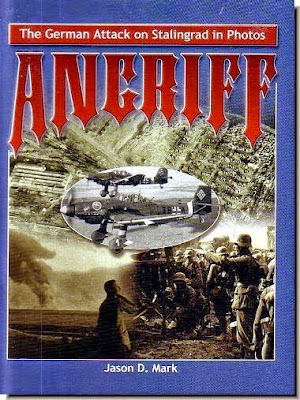 A victorious Germany in Russia would then have hit at Britain with many more Luftwaffe fighters and bombers. Churchill would have been kicked out of office and Britain would have surrendered. 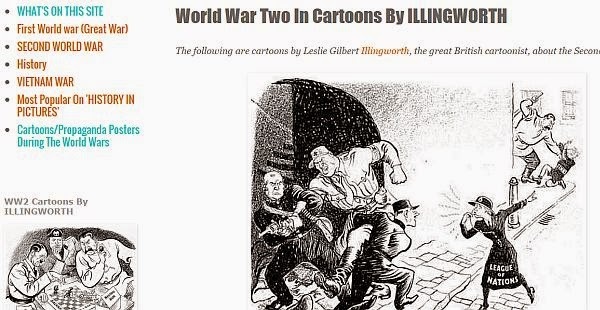 The fact that Germany got bogged down in Russia gave the Americans and British time to get together and crank up their war production. 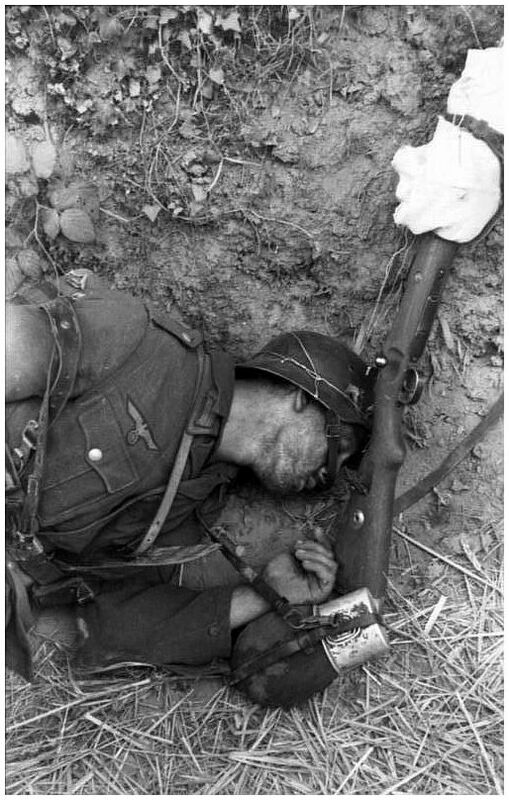 A dead German soldier in France. 1944. 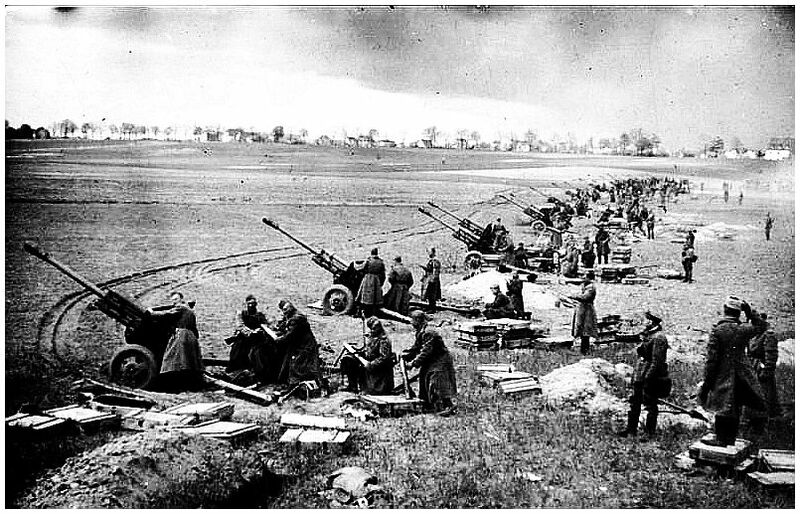 Russian guns booms on the outskirts of Berlin. The end for Hitler was near. On 14 April, Hitler issued his order of the day. He believed that the recent death of the American President, Franklin Roosevelt on April 12th was a sign that all was not lost and that the war would turn in favor of Germany. The Jewish Bolshevik arch-enemy has gone over to the attack with his masses for the last time. He attempts to smash Germany and to eradicate our nation. 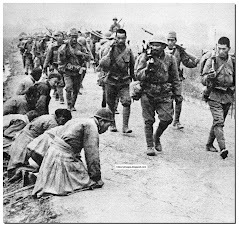 You soldiers from the east today already know yourselves to a large extent what fate is threatening, above all, German women, girls, and children. While old men and children are being murdered, women and girls are humiliated to the status of barracks prostitutes. 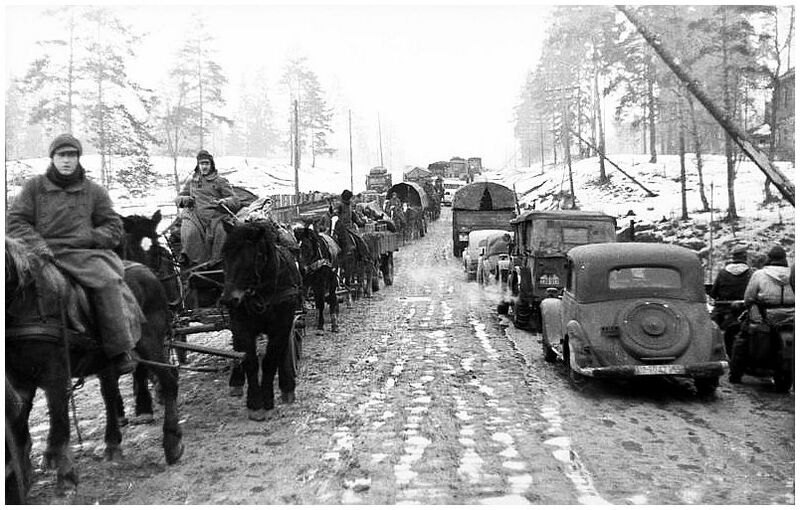 Others are marched off to Siberia. We have anticipated this thrust, and since January of this year everything has been done to build up a strong front. Mighty artillery is meeting the enemy. Our infantry's casualties were replenished by countless new units. 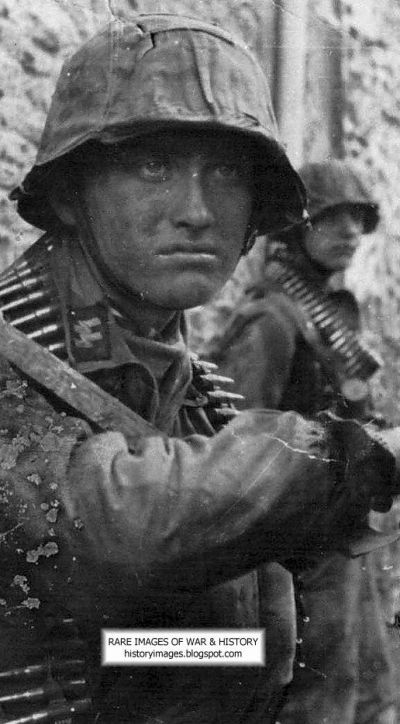 Reserve units, new formations and the Volksturm reinforce our front. This time the Bolsheviks will experience Asia's old fate. 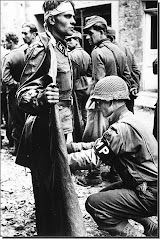 That is, he must and will bleed to death in front of the capital of the German Reich. Whosoever does not do his duty at this moment is a traitor to our nation. The regiment or division that leaves its position acts so disgracefully that it will have to be ashamed before the women and children who are withstanding the bombing terror in our towns. 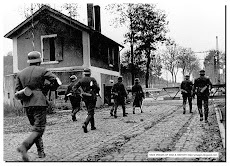 Above all, look out for the treacherous few officers and soldiers who, to secure their own miserable lives, will fight against us in Russian pay, perhaps even in German uniforms. Whosoever gives you a command to retreat is, unless you know him well, to be arrested immediately, and if necessary to be executed immediately, irrespective of his rank. 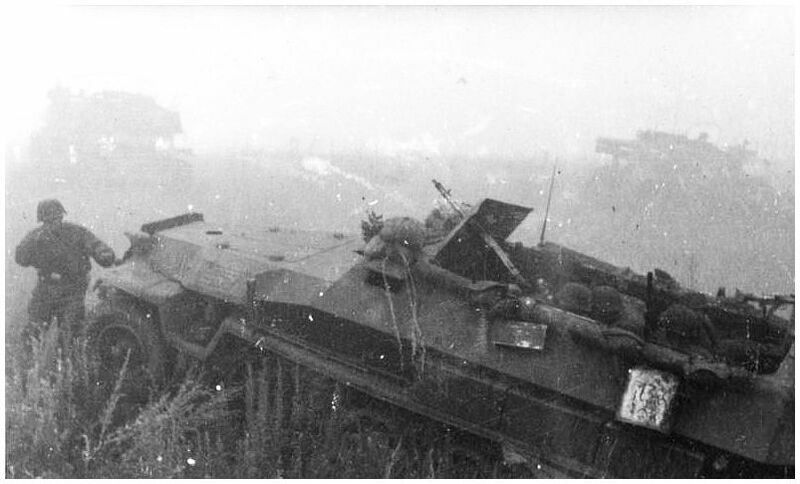 If in these coming days and weeks every soldier on the Eastern Front fulfills his duty, Asia's last onslaught will collapse just as in the end our enemies' penetration in the west will despite everything, come to naught. Berlin remains German, Vienna will again be German and Europe will never be Russian. From one community, sworn to defend not a vain conception of a fatherland, but to defend your homeland, your women, your children and thus your future. 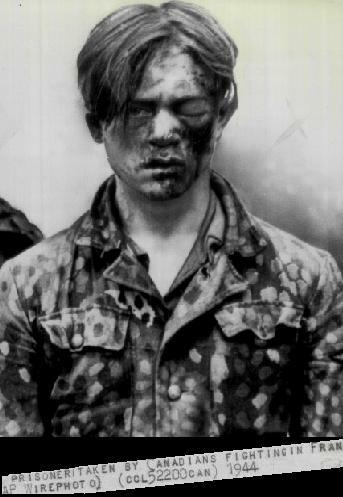 In this hour the entire German nation looks to you, my soldiers in the east, and only hopes that by your fanaticism, by your arms and by your leadership, the Bolshevik onslaught is drowned in a blood bath. At the moment when fate has taken the greatest war criminal of all times from this earth, the war will take a decisive turn. 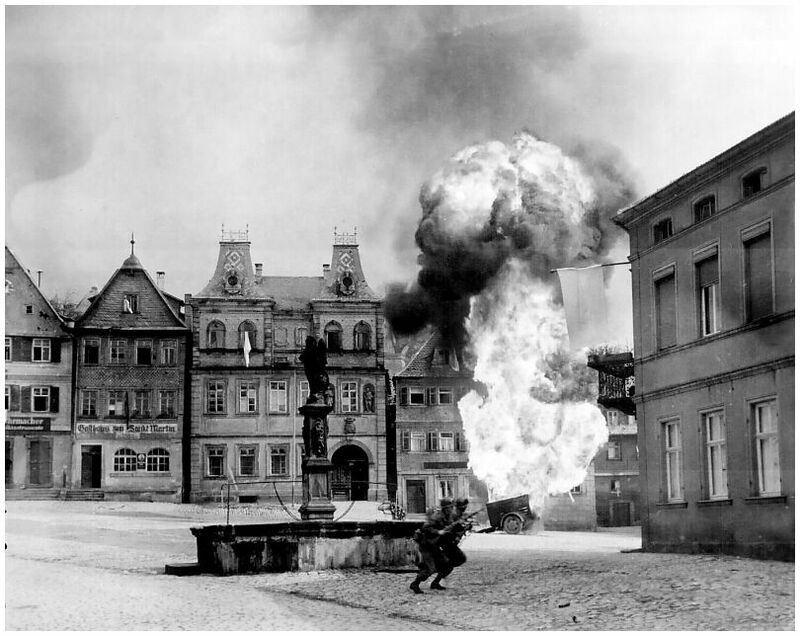 American soldiers are startled as a fuel cart explodes in an occupied German town. 1945.